Dominic Gaziano, M.D. is a practicing General Internal Medicine physician in Chicago. He is the director of Body and Mind Medical Center. He has made numerous television appearances as a medical expert on health, fitness and nutrition. Dr. Gaziano was appointed to the Chicago Fitness Council, Mayor Daley’s health and fitness task force. 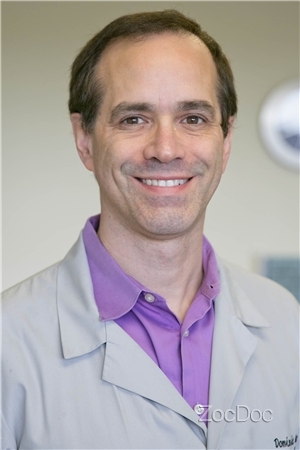 He served as Medical Director of the Advocate Illinois Masonic Integrative Medicine Department for 3 years and now lectures regularly on integrative approaches to anxiety and depression to doctors and other healthcare providers. Dr. Gaziano is also a regular wellness and stress management lecturer to the community. He most recently started a lecture series, Health in Your Neighborhood. Having completed his medical research fellowship at Northwestern University in Chicago, Dr Gaziano went on to pursue some of other passions, writing and television producing. He then created and produced 34 episodes of the internationally syndicated Health and Lifestyles Weekly, a half hour television magazine show that gives tips for healthy living. He published a 160 page healthy habit book, Feel Good Health.